This is a remarkable book. It tells the story of an apparently ordinary American who happens to be born in extraordinary times and who is, therefore, forced to live an exceptional life. 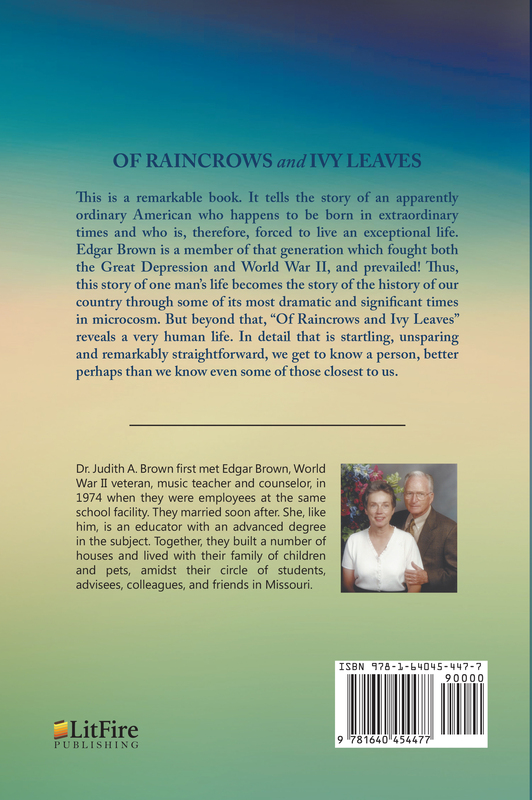 Edgar Brown is a member of that generation which fought both the Great Depression and World War II, and prevailed! Thus, this story of one man’s life becomes the story of the history of our country through some of its most dramatic and significant times in microcosm. 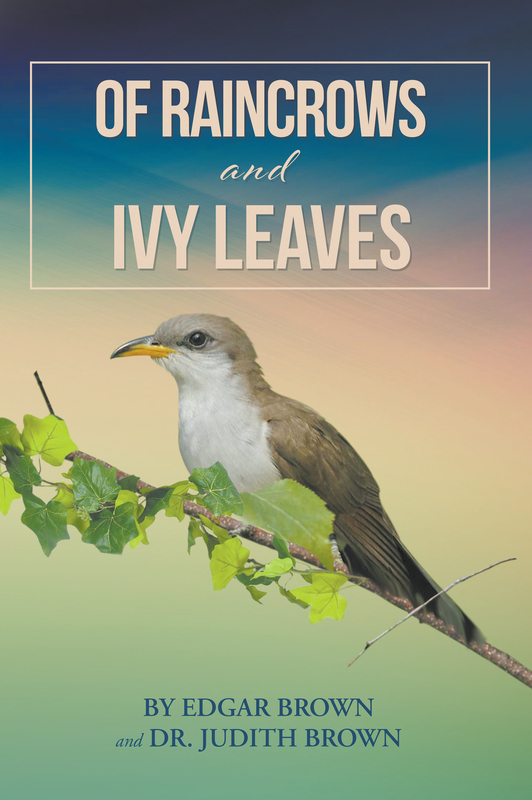 But beyond that, “Of Raincrows and Ivy Leaves” reveals a very human life. In detail that is startling, unsparing and remarkably straightforward, we get to know a person, better perhaps than we know even some of those closest to us. 1974 when they were employees at the same school facility. They married soon after. She, like him, is an educator with an advanced degree in the subject. Together, they built a number of houses and lived with their family of children and pets, amidst their circle of students, advisees, colleagues, and friends in Missouri.